Need a Taxi during New York Fashion Week? Getting a taxi in New York during Fashion Week is impossible…but not this season, thanks to U by Kotexâ€”who is offering the chance to show you their serious style/serious protection with a free taxi ride to destinations around Manhattan. Starting next week,Â U by KotexÂ is launching a fleet of fabulous cars that will be giving free rides during New York Fashion Week to take passengers to some of the best fashion-focused areas in the city. Each ride taken between February 9thÂ and February 16thÂ will help U by Kotex donate up to $100,000 toÂ Girls for a Change,Â a national non-profit group that empowers girls to create and lead social change in their communities. Today I attended my first ever sample sale. Who you ask? 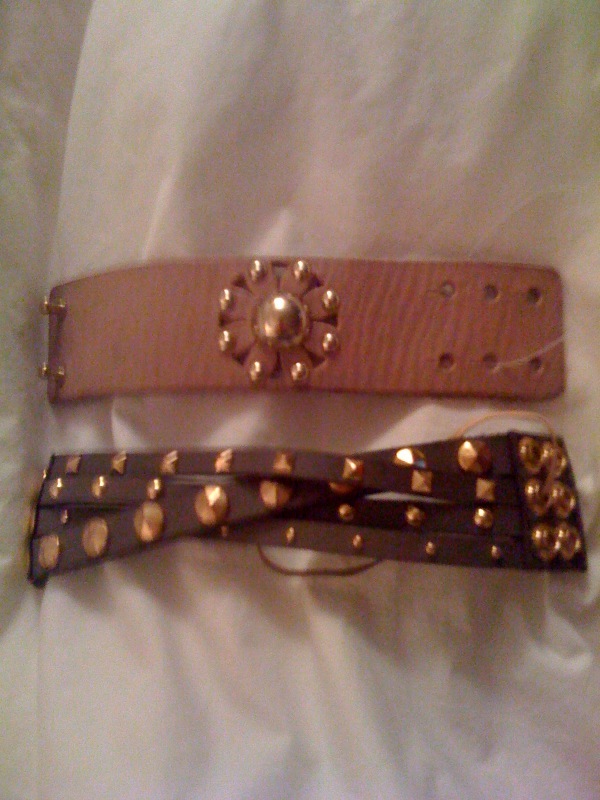 Only the super trendy Linea Pelle known for their plush, malleable leather bags, belts & bracelets. I had never been to a sample sale. I had no idea what to expect. Would women be pushing and shoving to land their fave LP bag or would it be totally organized and like shopping in a store? The hubs and I arrived at the building, went to the 9th floor and walked right into the Linea Pelle NY office. Tables were set up and bags and belts were hanging off walls and laid out on tables. Sales people were ready to help any way they could. It was a bit crowded, but there was no pushing and everyone was in good spirits and very polite. A few years ago I was drooling over a super cute Dylan bag in black, but never purchased it.Â I was so excited to hear about this sample sale, because it would be my opportunity to finally buy a cute LP bag. I was crossing my fingers that I would score that black Dylan bag. No such luck! No black Dylanâ€™s to be found. But they did have a wide variety of other colors in the Dylan to choose from. 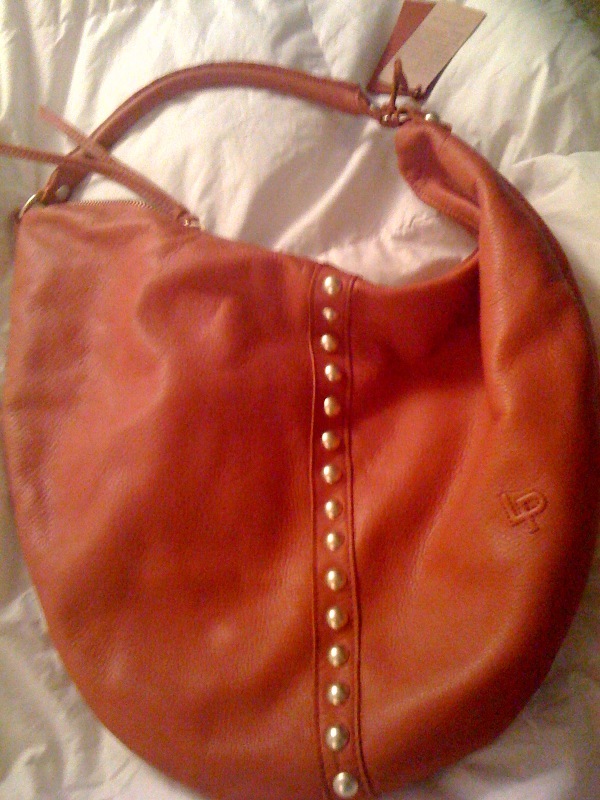 I opted for a super cute and comfy orange Joey bag and grabbed two leather bangles with embellishments. Â I was thrilled! I canâ€™t wait to start sporting them. We waited in line and my husband and I helped a woman choose between a few different bracelets. I even helped put it on her. We walked up to pay and the two girls ringing people up were great. They were having a great time at the sale, chatting with all the customers and making it personal. My husband whipped out the credit card and they were impressed and wondered where they could get such a great guy like mine. Heâ€™s a one of a kind I told them. I chatted it up a bit with Morgan and we exchanged Twitter names and she promised to keep me posted on future events and sales. Whoo Hoo! Maybe Iâ€™ll score that black Dylan after all. Follow Linea Pelle on Twitter! Become a Friend or a Fan Facebook!